Regular product training courses are held at our training centres in Korbach and Weimar, as well as on customers‘ premises. 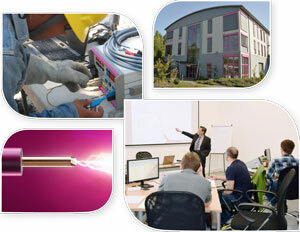 These training courses are run by qualified engineers with many years of professional experience. Special hands-on seminars and workshops which deal primarily with application-related themes round off our training portfolio. A careful combination of theory and practice makes for efficient knowledge transfer, while practical applications and demonstrations enable participants to consolidate what they have learnt. Keeping workgroups small helps create an optimum learning environment. KoCoS training centres are well equipped with the latest measuring and test equipment, giving each individual workgroup the opportunity to consolidate the knowledge acquired during the course.